If you’re getting tired of waiting for St. Louis spring events to get you out of the house, why not journey in from Oakville and grab a bite at one of the best restaurants in downtown St. Louis? You can find flavors to satisfy just about any appetite and convenient locations that can make showing off your new vehicle from Suntrup Volkswagen easy as well. Quick, friendly service and a historic location draw diners in, but it’s the food at Hendel’s Restaurant that keeps them coming back. From light appetizers like the Louisiana-style crab cakes, to hearty chicken pasta dishes, every menu item is sure to delight. And, with vegan and gluten-free options, there’s something sure to please everyone in your party. What’s a trip to St. Louis without a plate of their world-famous barbeque? Visitors from Oakville to Mehlville rave about the authentic offerings at Pappy’s Smokehouse, a St. Louis institution that offers a menu filled with delectable slow-cooked meats, hearty sides, and an atmosphere that keeps locals coming back. Looking for an old-school Italian deli in the heart of St. Louis? Look no further than Gioia’s Deli. With specials like the hearty Italian sausage sandwich as well as traditional favorites like the roast beef and ham, there are no bad choices at this James Beard award-winner. Get here early if you plan to come, however. This place gets busy! Authentic European food and hospitality are on full display at Grbic. Choose from a variety of authentic dishes like the valdostana or rouladen and top it off with a tasty strudel or schnitzel and enjoy dinner like baka used to make. 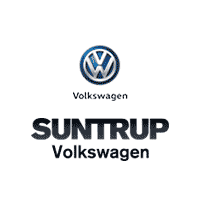 Learn More About St. Louis from Suntrup Volkswagen! Once your belly’s full and you’re ready to explore the rest of what St. Louis has to offer, contact us at Suntrup Volkswagen and schedule a Fenton area test drive with a new Volkswagen.